What happens to the souls of the little ones who are not allowed to be born? What would happen if one of these little ones was destined to save the world, in a way that could never be anticipated? 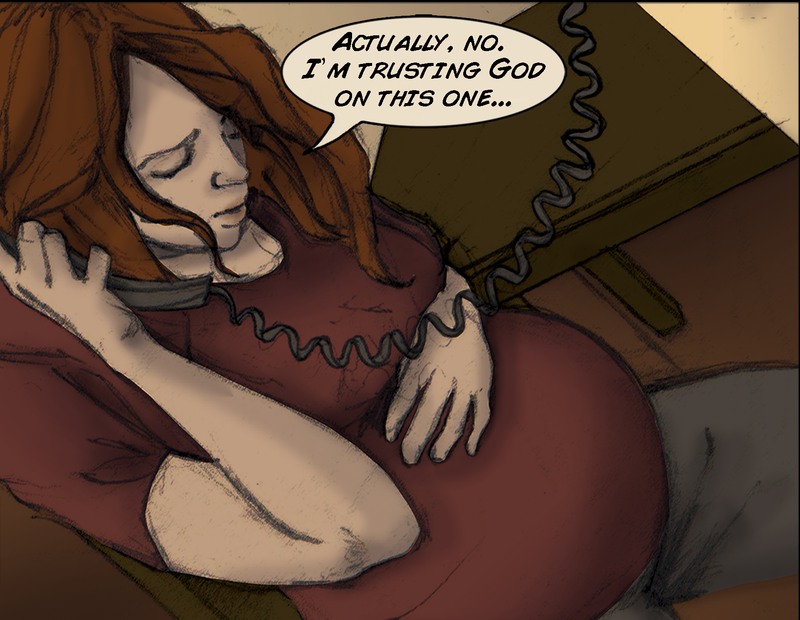 What would happen if a courageous woman chose to have such a child, born blind and with mental disabilities akin to autism, despite the doubts of her doctor and pressure from her husband to terminate the pregnancy? 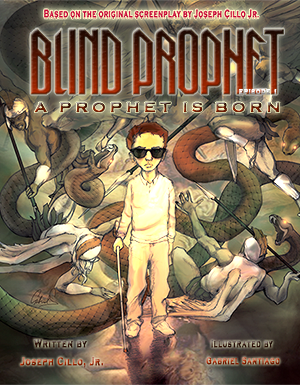 I'm the creator and writer of Blind Prophet. My thoughts along these lines drove me to create the Blind Prophet story, about a boy, born blind and autistic, who undergoes an experimental procedure to stimulate his vision, that gives him the ability to see into the spiritual realm, where demons tempt, and angels defend. A completely unexpected hero, appearing to the world to be weak, and of little consequence, but who develops a subtle power to understand how people are being tempted, giving him insight into the moral choices faced by the characters he encounters. Episode 1 is just the origin story. You will need to wait a bit for the future episodes to see how this disabled child, who almost was not allowed to be born, saves the world! We are please to make this episode available on the Kindle format, and plan to make all seven episodes available, four of which have been released in print. A compilation of the first four is also available on Amazon.com under the title, Blind Prophet, Part 1, which you may want to check out! A completely unexpected superhero, who no one dreamed would amount to anything? A superhero with a subtle power operating in an unseen realm? A superhero who almost never was, an origin that almost never happened? Are you ready to start the journey to see how a child born blind and autistic can save the world? We dedicate Blind Prophet, "For all the superheroes who never were given a chance..."
What are people saying about Blind Prophet? Don't miss this chance to get your FREE EBook! It will only be free for two days, so sign up now to get a notification of when it is available! As an added bonus when you sign up, we will give you a sneak peak of the first page of the story! So, you can get an idea of the quality of the artwork and art style! I'm sure you are going to really love this story, and I can't wait for you to get to read it for FREE! P.S. Don't have a Kindle? No worries, Amazon has a free application you can download so you can read it on any device or computer! So, don't let that stop you from signing up! Reserve for your FREE EBook! We'll notify you when the Kindle version is ready for download, and make available a download of the page 1 sneak peak!